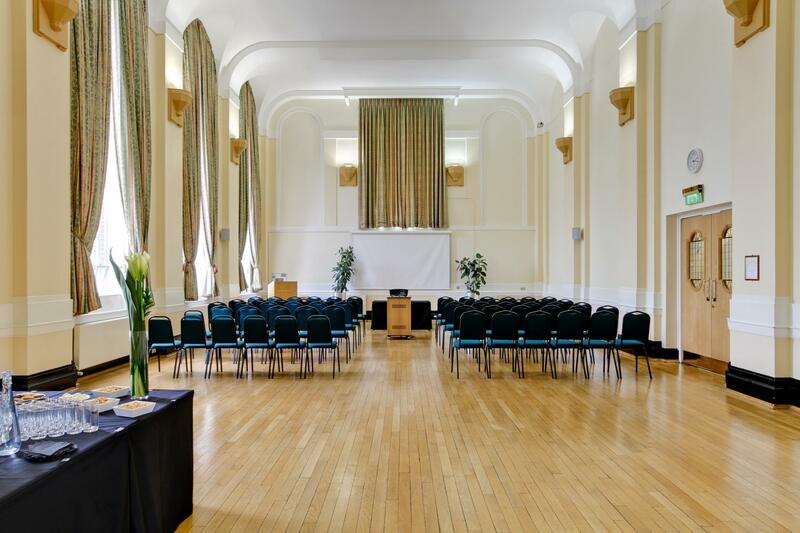 The Tuke Hall can seat up to 370 delegates theatre style and is an ideal space for presentations, seminars, workshops and AGMs. 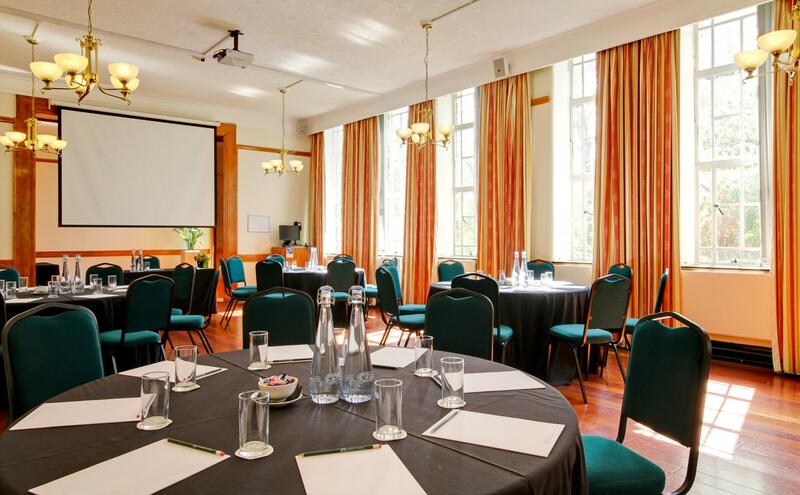 The Tuke Hall is ideal if you require a room with conference style seating. 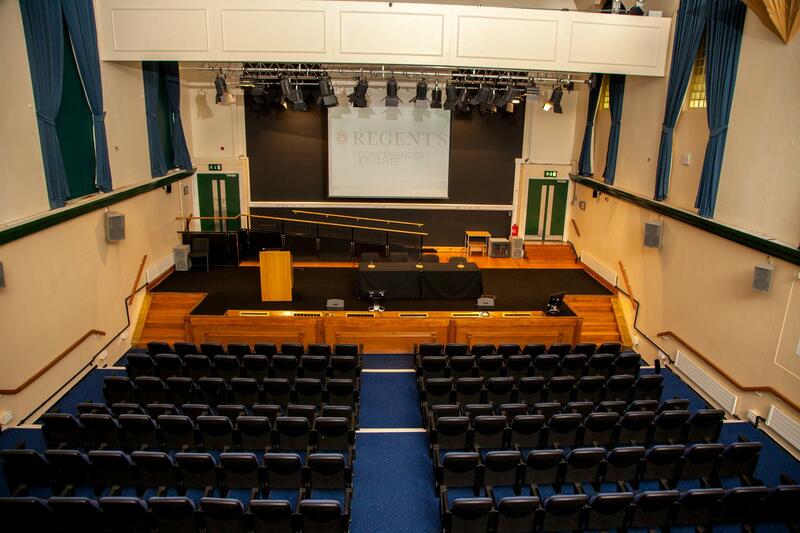 The hall comes equipped with a large stage, fully integrated AV equipment and fixed theatre seating with writing boards. Catering & Breakout rooms nearby can be booked with the Tuke Hall in our Tuke and Herringham Buildings. Day and evening rates are available for this room. This attractive gallery is a relaxed and contemporary space ideal space for creative thinking, decision making and inspiration. 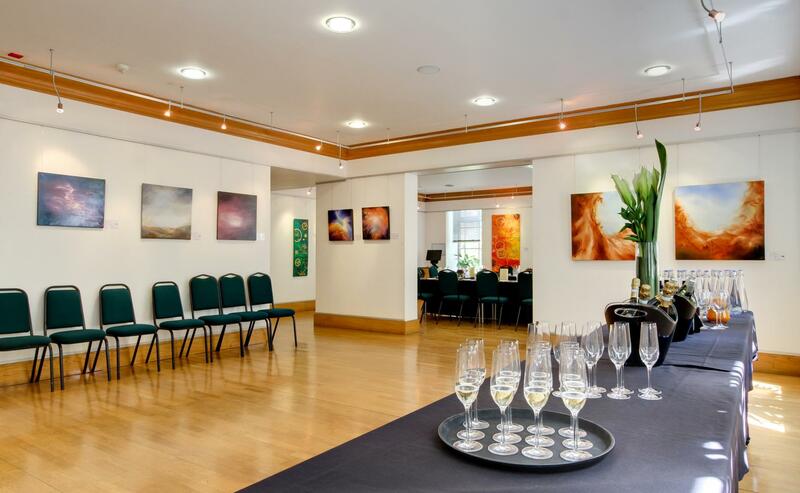 With windows looking out into the gardens the Knapp gallery displays mostly contemporary artwork and is ideal for meetings, talks or lectures, social and private events, product launches, and workshops. The Tuke Common Room with its wood panelling and tall windows overlooking the gardens is the perfect venue for workshops, company away days and seated dinners. The suite comprises of 3 areas, one for catering, the main room seating up to 80, and a registration/breakout area. This traditional space is often used for large board meetings and team workshop, we also hire this out for small wedding receptions due to its stunning decor and views. 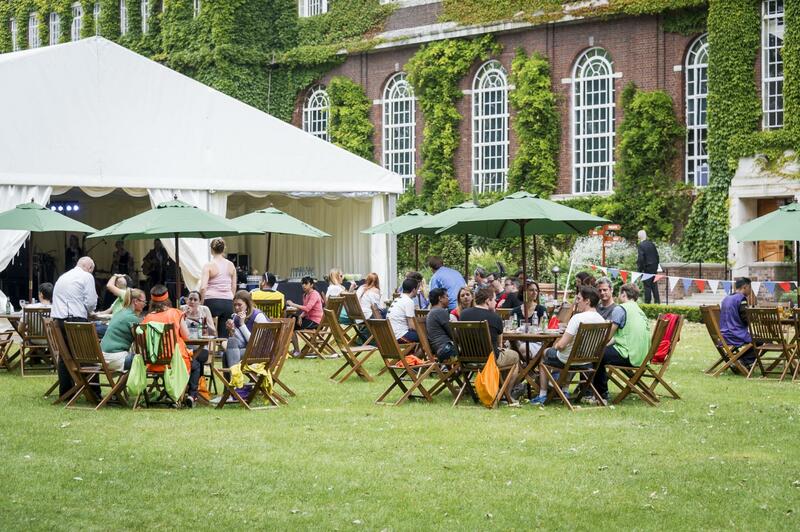 Surrounded by the magnificent gardens & lake of Regent's Park the spacious private lawns of the venue provide a rare oasis of tranquillity in Central London. Corporate or private functions of up to 800 can easily be accommodated for barbecues, receptions, corporate fun days & team building activities. All-inclusive Summer BBQ packages are also available so contact us for a quote. Great space - light and airy. Good food. The conference team were very helpful. The perfect venue, and everything went exactly as it should. Staff were extremely helpful and efficient. There were no unpleasant surprises. Good value for money as well.